Being smelly is what makes me so fully functional. What makes you so frozen? 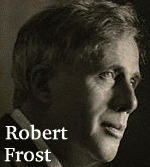 I feel it is my duty to tell you that you are wrong, Robert Frost.